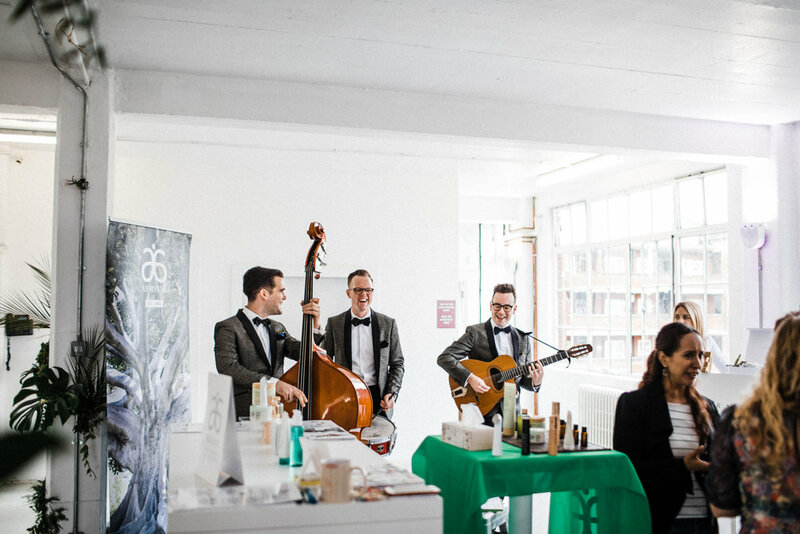 In 2017, we hosted our very first wedding show at jj Wimborne in Hackney. 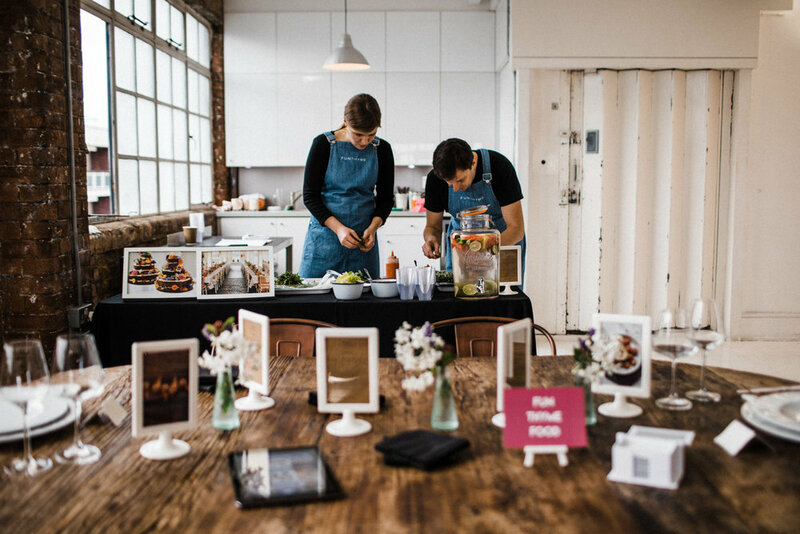 Born out of a boredom of the average wedding fair format we'd seen in our ten years in the industry. We thought brides, grooms and suppliers deserve better than 'a sea of trestle tables' in a church hall or conference centre. It was time for a refresh. We wanted to do something more interactive, more stylish, and more fun. Something that really gave each supplier an opportunity to be creative and for guests to really enjoy themselves. In our day job we're huge advocates of rulebook-free weddings - weddings that don't blindly follow traditions, but instead make their own rules and are truly personal to the couple. 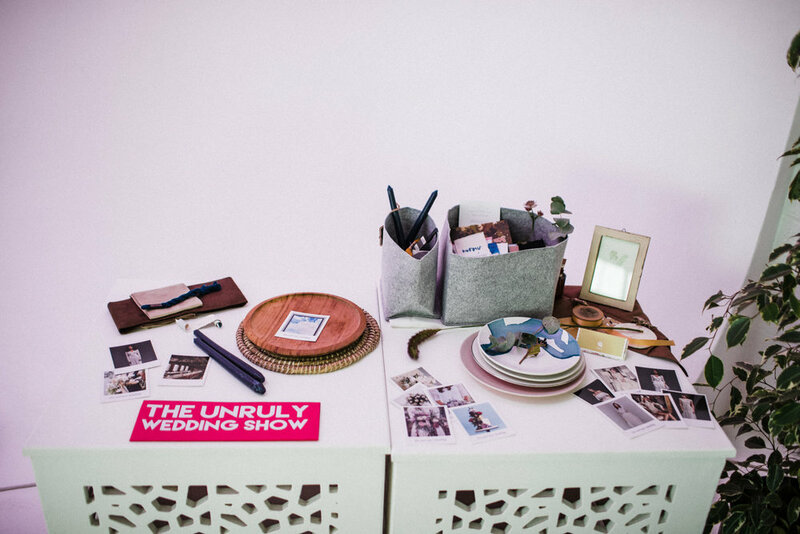 That's why we think you deserve more from wedding shows and that's why we created Unruly. We're over the moon to say the first event was a big success and even better than we had dared to hope for our first year. Plans for a 2018 show were put on hold as both of us had babies in the Spring, and the idea had been to pick it up for 2019 and beyond but with a huge boom in new and creative events like ours just this year, we thought it best to leave space for those to grow and collaborate with others in a different way.